Now that the nominees for the 87th Academy Awards® have been announced, filmmakers and film-goers are abuzz with Oscars® fever. 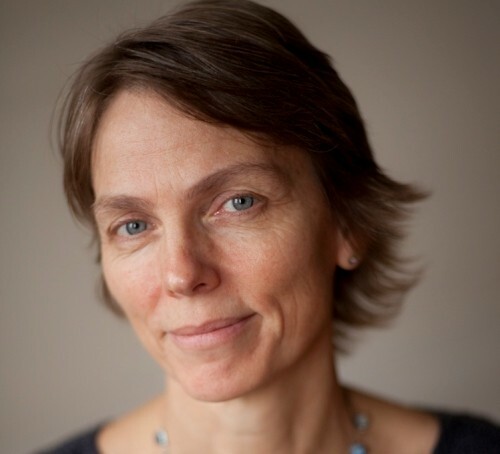 While much focus is on the feature films and their actors and directors, including Norwegian Morten Tyldum (The Imitation Game), here is one nominee you may or may not be familiar with: Director Torill Kove. Torill Kove is nominated for her animated short film, Me and My Moulton (Moulton og meg), which happens to be my favorite of the lot. Born and raised in Norway, Kove has been living in Canada for more than 30 years, and describes herself as “a two-country director.” Hers is a story of a passion discovered when she was in her thirties. In this video with the Toronto International Film Festival (TIFF), Torill shares a bit about herself, her work, and the autobiographical nature of Me and My Moulton. Kove’s first animated short film, My Grandmother Ironed the King´s Shirts, was nominated for an Academy Award in 2000. In 2007 Kove won the Oscar for her next short film, The Danish Poet. Torill’s first feature film, Hocus pocus, Alfie Atkins, was released in 2013, which was followed by the now Oscars-nominated animated short, Me and My Moulton, in 2014. Me and My Moulton is a colorful, humorous, and bittersweet slice-of-life story of Kove’s childhood in Norway. Set during a summer in the 1960s, a sensitive seven-year-old girl — one of three daughters — wants to fit in with her “normal” friends (and wants a bicycle), but finds fulfilling this desire a tad difficult, given the, shall we say, creative ways of her modernist architect parents. With the Oscars nomination for Me and My Moulton, Kove and co. created this little gem of a celebratory video. In addition to her work as a film director and animator, Torill is also a writer and illustrator of children’s books, including John Jensen Feels Different. Congratulations to all of the nominees, and best wishes to Torill Kove and the entire production team of Me and My Moulton. May the Oscars be with you! Me and My Moulton is written, directed, and art directed by Torill Kove, produced by Lise Fearnley and Marcy Page, and narrated by Andrea Braein Hovig.